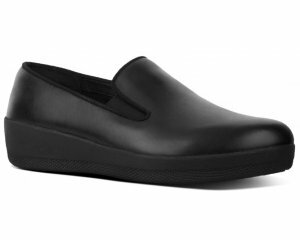 Rieker Greta 413J9 is a Mary Jane style casual shoe. 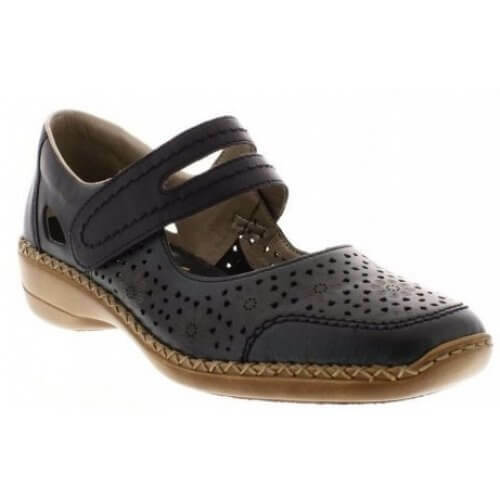 It features a soft leather upper with leather and high quality man made linings for added comfort. 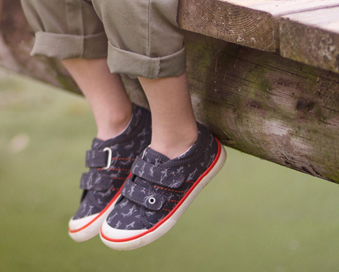 a single Velcro strap allows for adjustability, yet still maintains a secure fit. 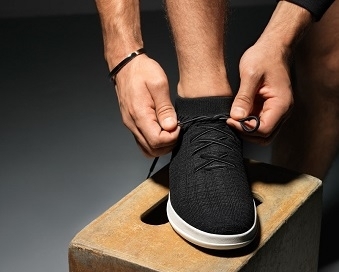 The padded insole helps to cushion every step, making it a great all day shoe. 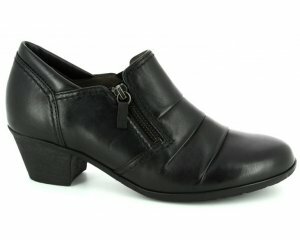 An approximately 3cm wedge heel provides a slight boost in height, along with added stability. Step into comfort with Rieker Greta 413J9.